At that moment, five months ago, Steven “Steve” Bryant, North Carolina-native, was a locomotive engineer, 10 years in, and received the cue to bounce from his well-paid job when a supervisor asked him, devoid of subtly and any hint of kinship, if he appreciated his job. But Bryant had already laid the groundwork for the big quit; he had stumbled upon a YouTube video about hotshot trucking and got curious enough to research it. This was about four months before leaving the railroad. Hotshot is a niche market for small-truck hauling, perfect for a sole proprietor and doesn’t require a CDL (commercial driver’s license) since the loads that are being transported weigh less than 26,000 lbs. 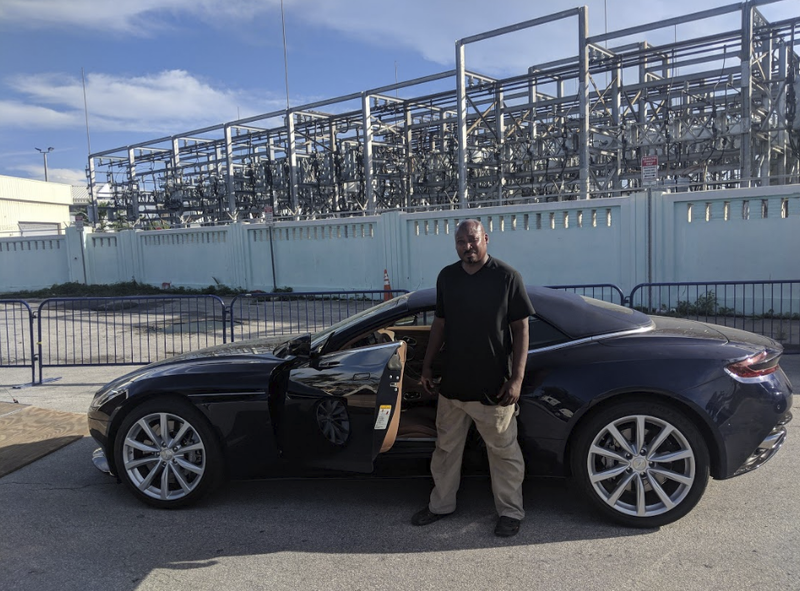 Bryant, the owner/operator of SB Logistics LLC, transports high-end exotic and luxury vehicles across half the country, from the east coast to as far west as Texas; anything to the west of Texas isn’t worth it, according to the entrepreneur, for mileage reasons. He hauls Aston Martins (the James Bond car), Ferraris, BMWs, Mercedes and the occasional Rolls Royce. The trailer owner only takes 20% of the gross from the job and the trailer rental fees come out of that percentage. Bryant, partnering with his brother and another business partner, will be purchasing his own trailer, to both sides of the equation. “He’s going to be upset,” Bryant said; it is difficult to find a driver. When the entrepreneur starts doing his own complete thing, his team will be looking for another transporter themselves, preferably an ex-military (Bryant is a veteran himself) or a CDL driver, anyone with the discipline to drive the mandatory-by-law 11-hour shifts. He’ll be looking for a strong work ethic more than anything. Surprisingly, Bryant said, he hasn’t worked for celebrities, but his clients either pay with cash or check upon delivery and are found through a phone app called Super Dispatch. A client contacts a freight broker who, in turn, puts the delivery particulars (weight, cargo, time expectation) on the app. Without a bidding process, from there it’s whoever gets to the job first, books it.